The perfect combination of a Phalaenopsis twin stem orchid, kalanchoe, and delightful foliage. 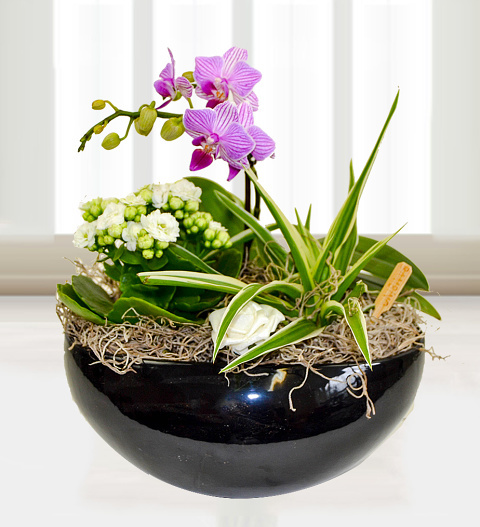 All carefully selected by our florists and beautifully presented in an elegant black pot. This collection is the picture of elegance. The ideal gift for birthdays, anniversaries, or any occasion and available for UK next day delivery. Chocolates may contain nuts.